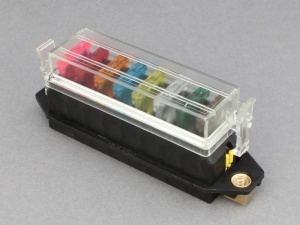 8 way standard blade fuse box with 6.3mm blade terminals mounted on the underside of the box. 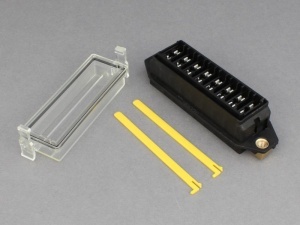 This fuse box is designed specifically for use in panels and incorporates brass inserts with M5 threads for mounting . 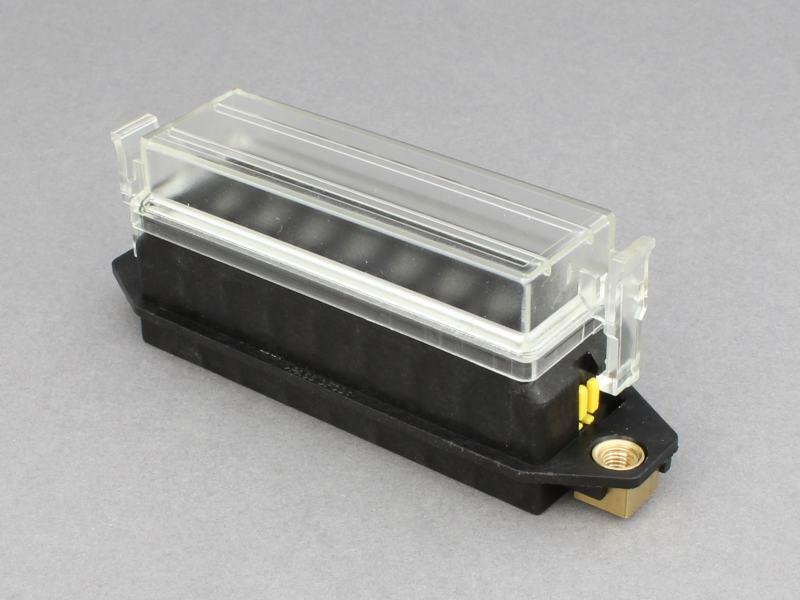 Supplied with clip-on clear protective cover and pre-fitted terminal locking bars. Use with 6.3mm non-insulated female blade terminals. Panel hole cut-out size: 89 (L) x 28 (W) mm minimum. Everything you would expect from MTA very nice quality. 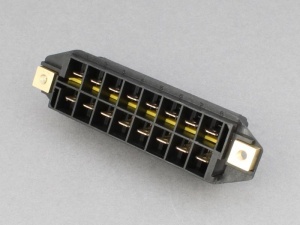 Only drawback in my eyes is that it comes with spade terminals. 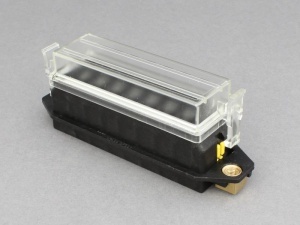 Would have preferred it to have come with crimp terminals but soldered them direct anyway. Don't pay any attention to the panel knockout dims on this website & get a stainless panel laser cut, like I did. Wait for it to arrive & measure it yourself. Mounting information is inaccurate. Drill two 5.2mm diameter holes 103mm apart on one axis, but one offset 2.3mm to the right and the other 2.3mm to the left off the centre line of that axis. Cut out of 27mm x 88mm gives a nice tight fit but requires a bit of manipulation to insert through rigid panel.